Hello from the Michael fam! 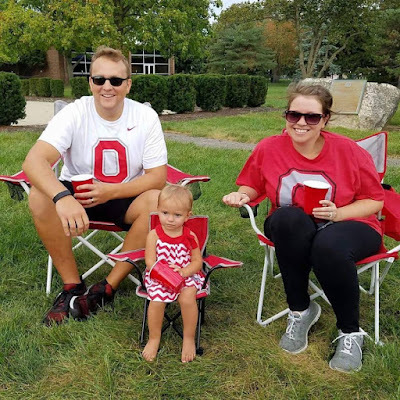 We had a GREAT time Saturday at the Ohio State game... or at least the tailgate beforehand with friends. Our friends Jon and Allison brought a mini Ohio State tailgating chair and Summer LOVED it and ran up to it and sat down in it. 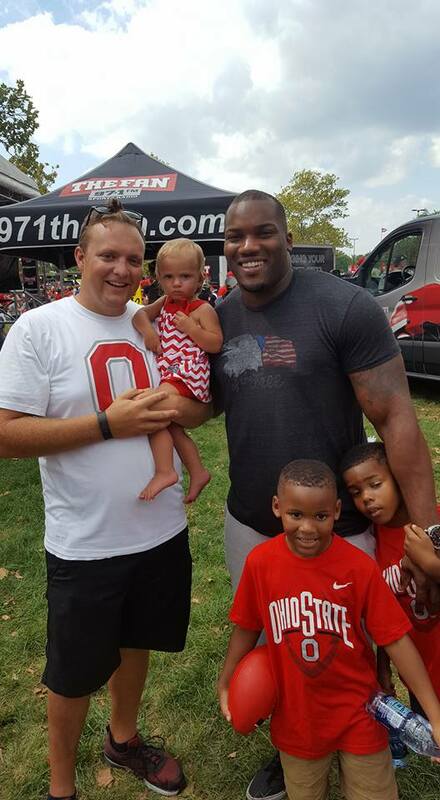 We walked over to another friend's tailgate and it was very near where Beanie Wells was doing a radio show. Once the show was over I went over to get a photo and we invited Beanie back to our tailgate and one of his kids got a hot dog. Good times. We then raced home to watch the game and watch the storm roll in that caused a lightning delay during halftime. 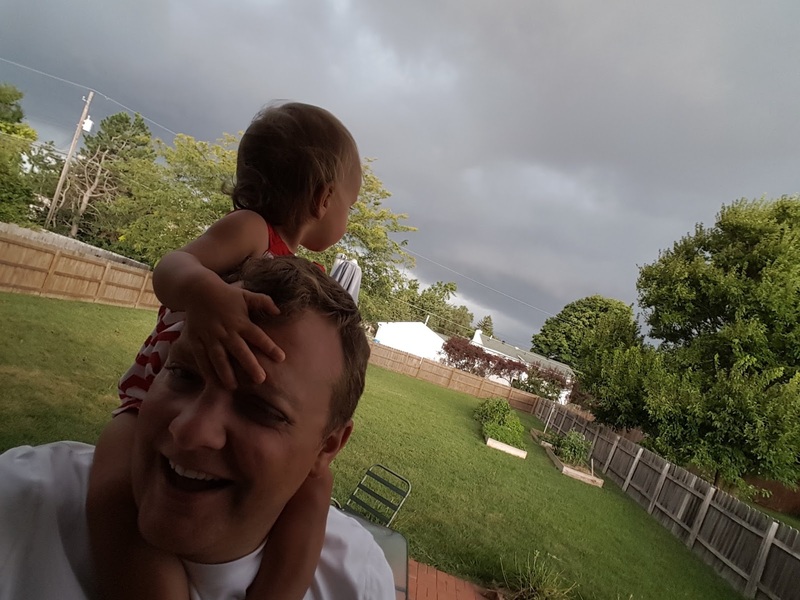 Summer and I watched the storm from the back door (inside). Yesterday we grilled out and watched the Browns do what Browns do. Another beautiful day on tap with nearly wall to wall sunshine! Temperatures near normal as we top our near 80 today. 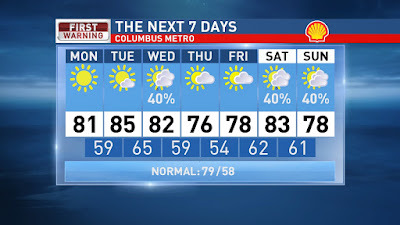 A few more clouds Tuesday, but still mostly sunny and warmer with highs in the mid 80s. 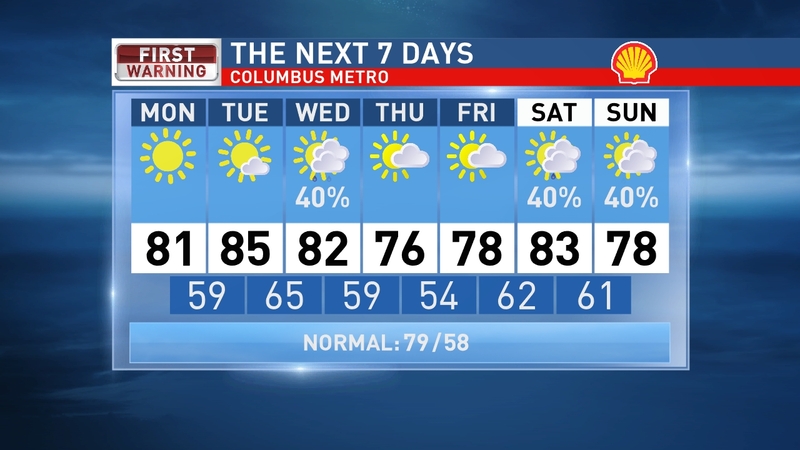 More clouds Wednesday and a few showers are possible as a cold front ushers in 70 degree temps for the end of the week. Scattered showers look to return for the upcoming weekend. Have a good one! Back from Put In Bay! So long tree, hello heat! 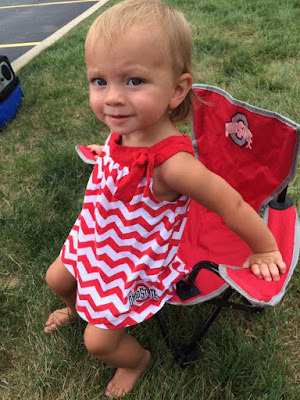 Labor Day for the memory books & heat returning!